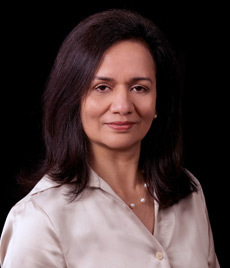 Jackie Garg is the Director of Operations for Virtual Information Executives. She brings over twenty years of accounting, administrative, analytical, and project management skills. Her key strengths are budgeting and managing financial records, keeping account records on QuickBooks, coordinating and managing projects to ensure timely completion. Jackie earned her Bachelor of Science degree in Accounting from the Rochester Institute of Technology in Rochester, NY with a major in Accounting and minor in Business Administration. She has served on the PTO boards of Terra Linda Elementary School and the International School of Beaverton. She is currently serves on the Board of the Indian Cultural Association and is an active member of several non-profits organizations in Portland. Jackie is also an artist who holds masters’ degrees in Indian Classical Kathak dance, and Tabla (drums). When she is not working at VIE, she loves to read, cook and volunteer at her kids’ schools.